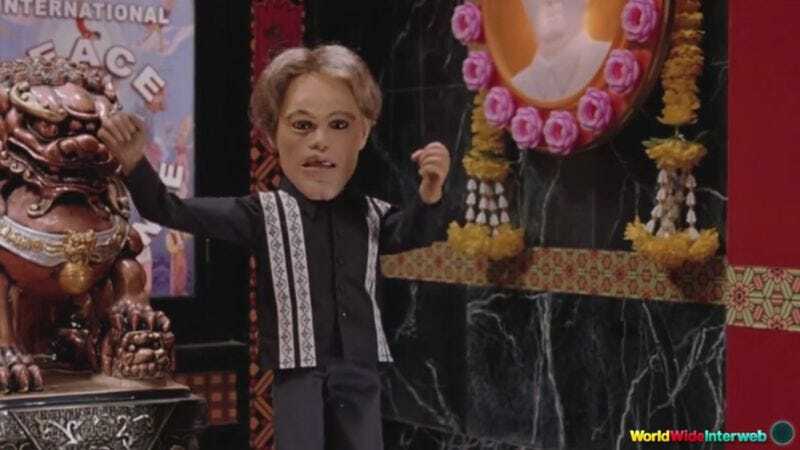 The freedom-loving, indiscriminately destructive marionette heroes in Team America: World Police, the 2004 satirical comedy from South Park creators Trey Parker and Matt Stone, have a full dance card when it comes to enemies. Not only do they have to contend with North Korean madman Kim Jong-Il, but they’re also menaced by the meddling, liberal Hollywood big shots of the Film Actors Guild, an organization whose roster includes such notables as George Clooney, Alec Baldwin, Sean Penn, and the whiny, constantly self-referencing Matt Damon. As voiced by Parker, Damon is such a dimwit that, much like Timmy from South Park, he seems inordinately fond of saying his own name out loud, drawing out the a sounds for maximum irritation. Back when Team America came out 12 years ago, Damon had only appeared in two films based on the Jason Bourne character created by Robert Ludlum. Now that he’s back for his fourth go-round in this five-film franchise, in an adventure simply titled Jason Bourne, the folks at WorldWideInterweb must have thought it was time for the a crossover parody video for the ages. In their version of the Bourne trailer, Damon appears in both human and puppet form. Since Team America is itself a whirlwind of high-octane action scenes, these two movies cut together surprisingly well. It’s a tossup as to which one is less realistic. “You know his name,” says the onscreen text in the trailer. And that’s true, but it’s only because Damon himself will not stop shouting it at every available opportunity in the most nasal voice possible. This version of the Bourne character has given up any pretense of anonymity or secrecy and has simply become his own biggest, most self-promoting fan. As thwarted Republican presidential hopeful Bob Dole once noted, constantly referring to one’s self in the third person “gets the name out there.” Hopefully, this gambit will work better for Damon at the box office than it did for Dole at the polls. The video is also an opportunity to reflect on the passage of time. Compare the wispy, floppy-haired Damon of 2004 with the more grizzled, graying Damon of 2016.